Made some kimbap today. vegetarian! Ima be crazy and wait to watch all but the last episode so I can binge watch leading up to the finale. I don’t want to have to wait each week!! I finally got around to watching Possessed! I think am possessed. Really liking it so far. 2 episodes down!! I am pacing it. Don’t want to binge. Am really enjoying Psychometric guy. Absolutely loving both the female leads. And Lee Ah is totally gif-able. Love the chemistry between the leads. Even though being young with no dating experience I love how mature these two are. I like the way their relationship progressed. Ah, Hyung. He is going to break our heart isn’t he. Hope to start this tonight. His ears are great. He also has cute lines around his eyes that show up when he smiles. And he has what someone once described as “cheek pouches”. This is the best pic I could find of it. I really like what they did with his character. The textbook dumb guy with skills. And there is enough emotional depth in all characters yet it’s not a melo tone. Even the side character – his friend appeals to me. It does have a mystery that is the main line of the plot which I enjoy very much. But overall I like all the characters. And the main lead guy is funny and keeps it light – he is supposed to be dumb and it’s hilarious! And I found it!! In NYC. YUM. Oh so Yum!! 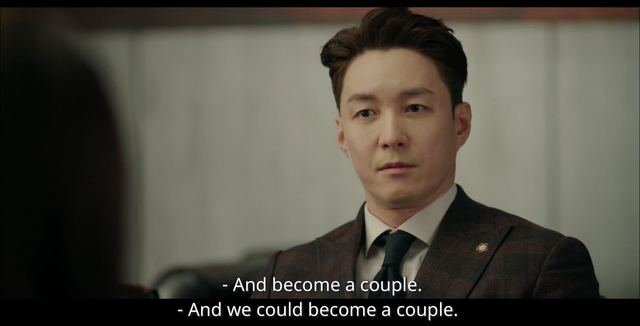 Thank you dramaland for getting this right. Yes, a 32 incher is what a gal needs for a one week stay!! I looked forward the weekends so I could watch this drama. It was one of those dramas which made me feel warm and cozy. Yes, it had its flaws and was far from perfect, but it was perfect enough for me. In the end, it was all about the books. The life of books. Everything else was a bonus. My love for books only grew as I watched the drama. May be someday I can open and watch this drama again and read those sentences in a new light. Once RIABBB and RoS ends, I think i have nothing to watch. I also feel like I need to take some downtime from new drama watching. Now that spring is on its way, I feel I should focus on getting more exercise and outdoor activities. Yesterday was a stressful day at work & life in general. I came back home and watched an episode of Best Love/Greatest Love and was smiling and laughing so much. Reminded me of why I started watching kdramas in the first place. I miss that quirkiness, no over the top camera angles, no dramatic slomo, backlighting etc. Chan Seung-Won cracked me up so many times. And I loved his chemistry with his manager/secretary. Best Love/Greatest Love! A lot of fond memories with this one! Best Love is one of my personal faves too; I’m due for a rewatch. I kind of feel the same, though. I only want to watch Waikiki 2 and maybe Kill It, so I’m pretty sure I’ll be drama lite for this cycle. I did just do a full rewatch of My ID is Gangnam Beauty (i.e. all episodes start to finish). Maybe I can finally catch up on all the American shows I’ve been putting off. Yes. I too should pick up the books and start reading!! One of my favorites!!! Cha Seung-won is hilarious!! His “Dokko Jin” gets me every time. His “Ding Dong” is timeless. Watch Radiant with me! That’s what I’ll be doing after those two end. ah, I am hearing good things about the show. But am really too exhausted to start anything. May be after some rest I will be ok to start. I might be missing plenty fans here. If said lawyer needs a capable secretary to assist him in his “thinking”, Oh Bisu automatically becomes the first candidate to be considered for such position. nah im already in a mess. we have one more day to go. i cant wait! You’re missing me!! 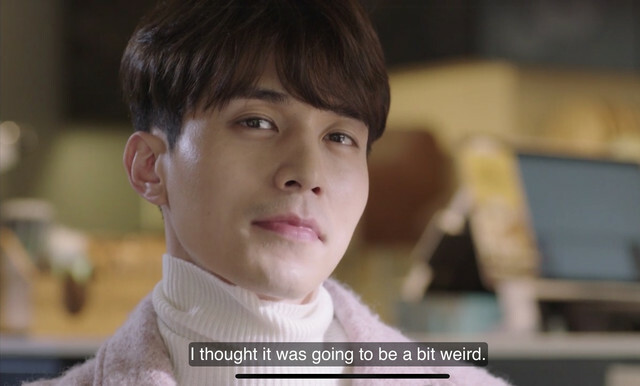 LDW was my first love – the reason I really got into K-Dramas! Aww. I first noticed him in wild romance and then was completely on board in scent of the woman. I saw Bubblegum just for him!! 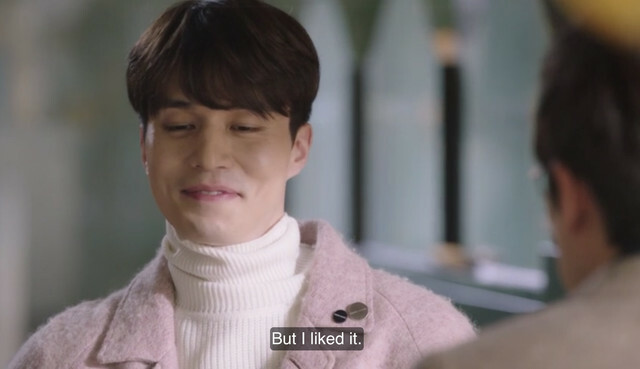 I’d watched a few dramas prior to seeing him but because of the kind of dramas I’d watched (BOF, Playful Kiss, Heirs), I was convinced K-dramas were a visual glorification of wattpad’s toxic teen relationship written by incredibly horny kids. But then I saw LDW in Hotel King and I fell so hard. I then on went to find everything he’d been in from Wild romance to now. Bubblegum is the only project (after Wild romance or My girl. I’m not sure about the timeline) of his I never finished cause I was sidetracked by school and just never got around to it. I loved, loved him in Scent of a woman. It where I also fell in love with Kim Sun ah. He has this je ne sais quoi about him that I’m thoroughly appreciating. It’s similar to Lee Min Ki in a way. I’m also really appreciating older men getting love in dramas. Today’s ad in NyTimes for Louis Vuitton. He looks so familiar. Anyone ID him? Thank you! Now i remember where I saw him. It was a cdrama called ‘With you’. No problem.^^ I watched that drama a month ago. Didn’t like the last 2 eps but I enjoyed the drama as a whole. let’s pretend that the last 2 episodes never happened!! It was such a bizarre ending to an otherwise sweet show. What!! Did she just hold the coat for him???!! I followed your cue, @mayhemf, and re-watched all their earlier scenes too! Others were far quicker than I to spot this potential couple. It’s surprising how venomous some of their earlier moments were. I suspect Dan carried his coat for him (he’d already left the bar to make a phone call before everyone else left) as an apology for embarrassing Choi in front of the team. I wish I learn how to gif. The subway scene was solid gold. I also notice how his ‘tiny’ resentment of her way on handing the coat to him, made him throw his coat to his back in a manner that would hit her face/head, whether unintentional or the contrary xD But instead the secretary was the one who had a reaction, while Dan simply charge ahead nonchalantly. So many things I didn’t notice about these two; I’ve been so focused on our leads this whole time lol. But I have enough room in my heart for both! I love how he repeats after her!! I bet she’s got everyone figured out. Will be interesting to see if Hae Young’s able to help or hinder her colleagues. I can watch a show with just two of them ! Oh god yes the office secretary KNOWS EVERYTHING but just doesn’t let on. 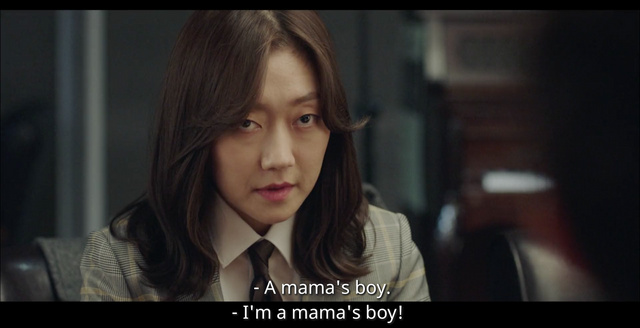 As much as I revel in their shifting dynamic, Choi Yoon Hyuk’s status as a mama’s boy is worrisome. Will we ever meet his honorable mommy in person? These two just give me such joy. And I’m saving the end of episode 10, so I don’t have to much tome between episodes! RIBB – Kang Dan-I, you just broke my heart. Loved her little speech – so much maturity and dignity. Not getting into personal details yet clearly conveying her message. Acknowledging her mistake and asking them to reconsider was a right thing to do. And the way she made that decision so Eun-Ho doesn’t have to suffer through this. I see why she is doing what she is doing.  But, Gyeroo publishing – you are fools if you lose such an incredible employee. This is kdrama. So am assuming she will win the competition where they see her value and ask her to apply. EunHo has found out that what she did was not illegal – so that’s a good thing. I think We have 2/3 founding members in her side already. Just 2 more to be convinced. She needs to win this on her own merit. I hope she can!! Seriously. I’m pretty sure the first 10 minutes of every episode are just me going “Ugh, why are you so cuuuute” at my screen. Are you sure five minutes? It only takes three minutes in to episode 10 for Jung-rok to wink at Yoon-seo. I’m suspicious the PD-nim is drunk on sugar while directing this drama. My face can’t catch a break from smiling, grinning, giggling and laughing. I think I would look 10 years younger when this drama finish. Yes, it’s like am drinking the magic potion! Very Smooth Dude, you are sounding like a Pro!! Are you sure this is your first time dating??? Anyone knows what sunglasses she is wearing? I wants them!! 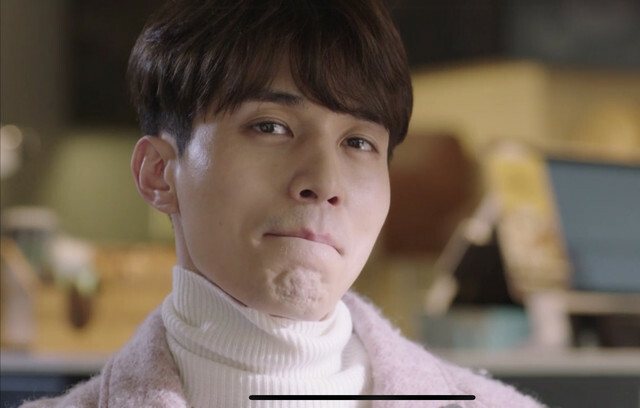 Petition to bring back Lee Dong-Wook’s forehead! In addition to his hair and where it locates, I am struck on how good he looks with a tan!! The first photo may or may not be my phone’s wallpaper from now on…….. I know!! He needs a permanent tan. I LIFE he looks so pale it was distracting. Yeah, I was relieved when I watched the first episode of RoS that the makeup artist chooses a more suitable shade for him. I was commenting I want his forehead free. And I like him most as Wang Yeo in Goblin. I keep getting these too lately. And not one inappropriate word there. Have no clue what is the algorithm. May be we are commenting too much and they want us to slow down. Hell No! We take screen grabs and type again. We shall not cower. Not forgetting that this screencap is from the scene immediately after one of my most favorite scenes in a drama ever. P.s. How do you insert photos in reply comments? Is today our Day one? ☺️ I cannot promise shooting stars, but I offer you my  with sincerity and grace like a elegant actress! Would you sip the celebratory wine with me on uri Day One? He really pulled off that soft pink overcoat!! Yeah, for sure. I thought about his pink coat in Bubblegum when seeing LDW wearing pink in RoS episode 10! Oops, I mean episode 8 at night during their MT trip. Heheh congrats! Work to your bones in dramaland . Yay! Welcome to the club. Am back from a week long vacation – no dramas for a week! Have so much to catch up. Have to read all the Feb love posts. Caught a nasty cold and am so glad it’s a long weekend here. Looking forward to recovery with all the dramas while cuddled in the bed with some hot tea!! 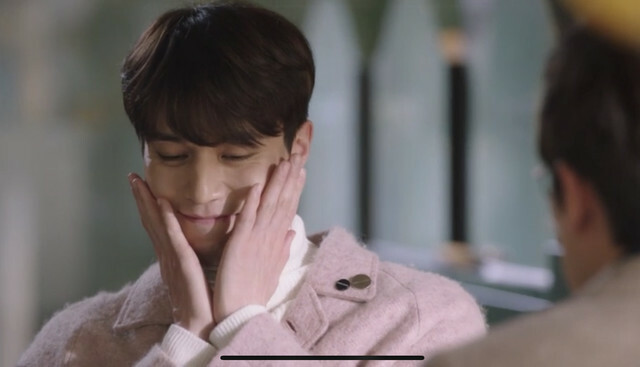 So many news dramas and sky castle is on Viki!!!! @13infamyss @mabz @kimbapnoona. My ID Gangnam is on Viki US!!! Looks like they are acquiring stuff that was lost in dramafever. Woo-hoo!!! Thanks for the heads up. I thought I read somewhere here on DB that Netflix licensed this, but when I looked it up, I couldn’t find it? Is this perhaps only licensed in certain regions? It’s def not licensed in Canada. I was so happy to see it listed on Viki! This is definitely a drama I would rewatch in its entirety (already done so once ) not mentioning watching clips of MR and KS for little quick pick-me-ups!! You guys are also the best squee buddies, @mayhemf, @lurkermabz, and @13infamyss ! Hopefully stars align soon for a drama which will allow us to do it again!! Welcome back and hope you had a great holiday! What dramas are currently eyeing on? I have started Radiant last night, and I don’t know what I was expecting – thought body switching plots only had a room for romcom genre, but this drama is so depressing and melo. Both leads live a very sobbing, sorry life, it really reminds me of My Ahjusshi. I’m not fully attached to it yet, and I don’t know if I’m ready for yet another heavy drama (SKY Castle drained me good ), but I’m curious what’s gonna happen to them, so I’ll continue watching this next week. Unfortunately I did catch a cold in the middle of my vacation. So everything was more tiring. But it was still great fun! These 2 are easy watches so far and i plan to continue. Sky Castle – I will wait for few more episodes before starting. I don’t want to wait one week for 2 episodes. Radiant – I really like Han Ji Min and Son Ho Jun, But I don’t like Nam Joo Hyuk (yes yes, may be a minority). So will watch this for a few episodes and see how I like it. Haechi – some beanies gave good feedback. I am not a sageuk person. So will hold this for now. Spring Turns to Spring – This I will check out. Hear its outrageous and funny. I wished Viki had Trap. That was one show I wanted to watch. For now I will stick to light shows I guess. Welcome back! Have a great weekend also and hope you feel better soon! The sun sets only to rise again.